Automotive industry in Slovakia: Can its long history continue with electromobility on the rise? There are four car manufacturers based in the west of Slovakia, across an area of less than 3,500km2, which represents less than 7 percent of the territory of the country. In 2018, their production increased to 1.08 million cars, which is another record-breaking result for the car manufacturers. In the near future, this success of the automotive industry in Slovakia is expected to grow even further thanks to the production for Jaguar Land Rover (JLR), which only started at the end of last year. 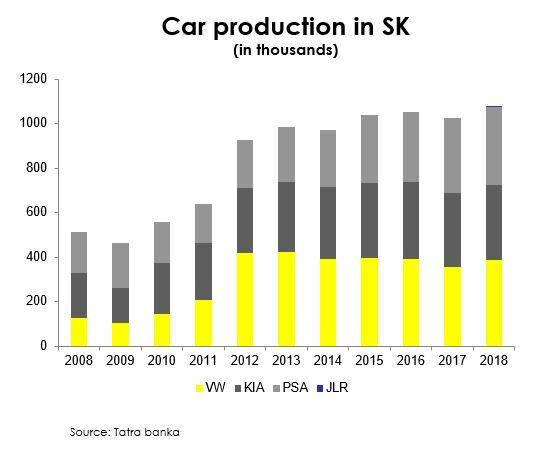 Statistically, the business development of the automotive industry is full of superlatives, demonstrating its clear dominance in the Slovak economy. According to the ZAP SR (Automotive Industry Association of the Slovak Republic), the share of automobile production reached 46.8 percent of the total industrial production, accounting for 35 percent of the overall industrial exports of Slovakia. Cars from Slovak factories are heading to markets all over the world. Nearly a quarter goes to Germany, 12 percent to France and almost 10 percent of the exports are intended for Great Britain and the United States. Another indicator, which ranks us among the most advanced automotive superpowers: For several years now, Slovakia has been leading the world rankings for the number of cars produced per 1,000 inhabitants, reaching 198 cars in 2018. But the scale and importance of the automotive sector is even more evident by the number of direct and indirect job positions created by this industry. 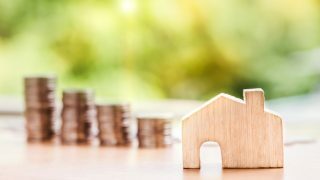 It is estimated that this figure reaches as much as 250,000, which represents almost 10 percent of all people employed in the Slovak economy. The story of the automotive industry in the independent Slovak Republic began before the state itself was established. By 1991, the German Volkswagen had already established itself in Bratislava and began to pave the way for the arrival of others. Today, this car manufacturer is unique in the world for the number of brands produced under one roof. While cars of the lower middle class were produced here in the 1990s, current production includes several flagship brands, such as Porsche, Audi or Volkswagen. The selection of brands is supplemented by Škoda and Seat. After more than ten years, during which Slovakia had stabilized macro-economically and politically, and anchored its European direction, the French company PSA Peugeot decided to join. The factory in the west of Slovakia has developed into the most profitable part of the company producing more than 350,000 cars in 2018. In 2004, a third car manufacturer announced its arrival, heading again to the west of Slovakia: Asian KIA commenced the construction of its only European factory. The latest addition to the automobile family in Slovakia is JLR. Its arrival was announced in 2015 and today, the first cars are rolling off its production lines. With the expansion of the production at JLR, the immediate future of the Slovak automotive sector should be positive. However, the pressure to reduce emissions is radically changing the entire industry. The automotive industry is preparing for extensive electrification. According to the ZAP SR, by 2025, electric cars in Slovak factories will account for 15 percent of total production. 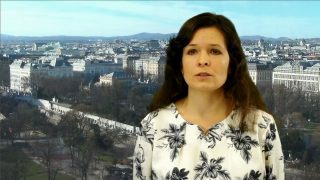 There are frequent doubts about the readiness of the sector and a failure to embrace the new trend would have severe macro-economic impacts on the Slovak economy. The development of electromobility is expected to cause a loss of about 30 percent of jobs across the sector due to fewer parts being needed and consequently the faster production of electric cars. The positive aspect is that a small electric car has already been produced in Bratislava for several years now. Hybrid power drive has been used in cars by KIA and the latest news also indicates the production of electric cars at PSA Peugeot. The same plans are also being discussed by JLR. Therefore, it is only a matter of time before a hybrid power-driven car will be included in its portfolio. It is vital that car manufacturers with plants in Slovakia are thinking of the necessary technological changes for the coming years. But with some plants in Slovakia already being in the position to produce the most advanced cars with electric drive, which will gradually become the standard, the current outlook is definitely a good one.